My clinical experience has shown me that there is no such thing as a ‘normal’ or ‘average’ body, and yet most bike fit methods are based on body measurements from the average population that have no consistent correlation with optimal functional outcomes. In the real world every body is unique and every body is changing and changeable, and the true value of a bike fit at Cycling Physiotherapy Centre is my ability as a physiotherapist to both anticipate and guide the physical and functional adaptations that will result from changes to your riding position. Rider positioning from this perspective, therefore, is a process of matching your ‘bike-fit’ with your current cycling fitness level and goals, whilst recognising that as your fitness and goals change, so too will your optimal bike fit. Well, because your riding position forces your body to adapt to that riding position, for better or worse. This not only determines the level of performance and comfort that you can achieve, but also influences the likelihood of developing pain or overuse injuries if you continue to ride in that position, or if you increase your training volume or intensity. 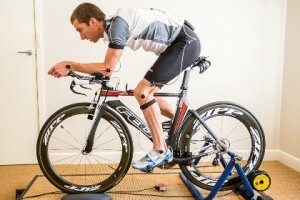 And, regardless of your cycling experience, you still have plenty to gain from a bike fit. 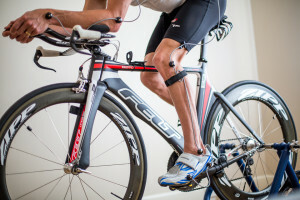 For those with less experience, the correct riding position will allow you to develop an optimal pedalling technique and postural stability before poor habits are established, whilst for experienced riders the correct riding position is essential to maximise performance and avoid the development of overuse injuries due to the higher intensity and volume of training or racing. 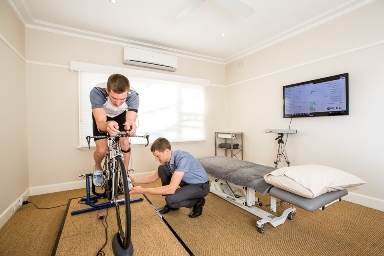 A bike fit session at Cycling Physiotherapy Centre is a two-hour consultation that commences with a thorough discussion of the outcome that you want to achieve – after all, it is pointless for any bike fitter to set you up in a riding position that satisfies them but not you. After identifying the goals for the session we will discuss your medical history and your current lifestyle, followed by a physical assessment of your posture, strength, flexibility and core stability. A combination of static and dynamic measurements are then used to analyse your riding position, especially in relation to your desired outcomes from the session and the findings from the physiotherapy assessment. The dynamic analysis utilises the world-leading Retul 3D Motion Capture system, enabling an accurate comparison of changes to your set-up, equipment or technique within and between sessions. I also assess your riding position at a range of power outputs as sports science research has demonstrated that posture and pedalling technique both vary throughout the range of power production. If necessary, a treatment program is developed to address any physical issues that have been identified during the session, and this may include periodic follow-up appointments for hands-on treatment, or to review your exercise program or your bike fit. At the completion of the session, once we are satisfied that your bike fit has been matched to your current cycling fitness level and goals, a final recording of your cycling position is made from both the left and right sides, as well as precise measurements of the bike. You will then receive this comprehensive bike fit report by email, enabling you to easily and accurately transfer the measurements to another bike, or to simply show your riding buddies. So that you can get the most out of your bike fit consultation please read the following information carefully. The physical assessment and motion analysis is easiest if you wear a sleeveless jersey or singlet that is well fitted. The rear tyre of your bike MUST have a slick central tread to operate on our CompuTrainer ergometer. The heat generated due to friction whilst cycling on the ergometer may cause a blowout of old tyres or tubes that have puncture repair patches. Please check your rear tyre and tube and replace if there are signs of damage. The cleat screws on your cycling shoes must be clean and able to be easily loosened to allow for adjustment. The design of the axle on many 29ers makes them unable to be mounted on a stationary trainer – hopefully adaptor kits will become available, but if you are needing a bike fit on a 29er then please discuss this issue with me directly. The gears and chain of your bike must be free of any recently applied wet chain lubricants – this just helps to keep our carpet clean! What is the Cost of a Bike Fit? A bike fit session at Cycling Physiotherapy Centre is a two-hour consultation and costs $360. As the consultation is provided by a registered physiotherapist for the purpose of injury prevention and treatment you can claim a proportion of the session on private health insurance if you have Physio Extras cover – you just need to bring your private health membership card with you. The amount paid by your private health insurer is entirely dependent on your level of insurance cover but will not exceed $90. If you want to check this before you bike fit then you will need to contact your insurer directly.